The Source Bible Class » Why “The Source”? It started with "How to Study the Bible". 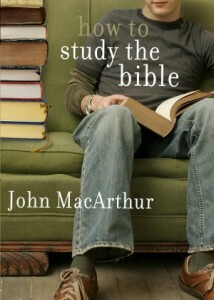 In John MacArthur’s excellent book How to Study the Bible the author describes in detail not only how to study the Bible, but he spends a great deal of time discussing why we must study the Bible. In the course of discussing the reasons why we should study the Bible, he describes how the Bible is the source of Truth, Happiness, Victory, Growth, Power, and Guidance, citing numerous scriptural references. We've used that premise to describe the core value of our class, that God's Word is indeed the source for what God has for us. The class notes and scripture references from our first class meeting in which we discussed scripture being the source of Truth, Happiness, Victory, Growth, Power, and Guidance are available here.